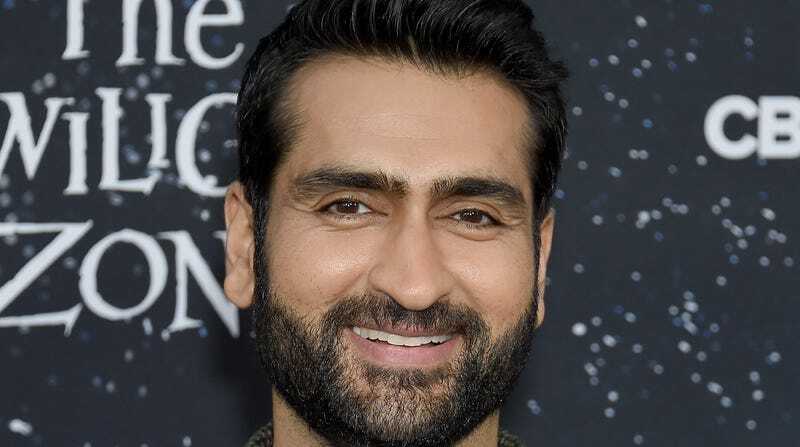 Finally giving cinematic superhero fans the potential Kumail Nanjiani-Angelina Jolie team-up spectacular they’ve been demanding from the studios for years, THR reports today that the comedy star is in talks to appear in Marvel’s upcoming Eternals film. This is the second big bit of casting news we’ve gotten for the cosmic comics movie, with early reports coming in last week that Jolie was also in talks for the film, expected to be a major part of the studio’s post-Avengers: Endgame plans. It’s not clear yet which of the Eternals—who are not, we feel contractually obligated to note, the Inhumans—Nanjiani might play. Smartass speedster Makkari might be a good bet, but really, it’s hard to tell at this point what, exactly, Marvel is going to do with this set of God-like Jack Kirby characters. Honestly, it’s just kind of shocking that Najiani is only just now making his way into the MCU; given his popularity in nerd-comedy circles, we’re kind of amazed he hasn’t already popped up as a minor character in an Ant Man movie or its ilk.